Just in time for SPRING…read on for some quick inspiration! It definitely started after watching a few horrifying episodes of “HOARDING, BURIED ALIVE!” that prompted my search for a kinder, gentler approach to share with my Seller clients. 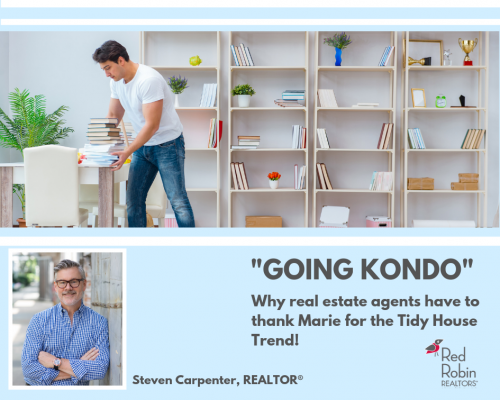 After all, being a REALTOR with one of Atlanta’s most successful neighborhood brokerages requires a firm, but delicate touch when it comes to having a talk about the dreaded word…CLUTTER! Now, clutter is essentially something that no longer serves you-but it has morphed into a more broadly used term to describe the spell under which most all of us are living. We have collections, obsessions, aspirations and good intentions…but when it comes to the business of living, reality must rule. In the real estate world, decluttering is the key to the door of success. Don’t be shy, face it head on everyone wins! We have been steadily moving (some of us dragging our heels, kicking + screaming) out of Madonna’s gimme more material world of the ’80’s and into the sleek minimal world of 2019. We now demand the modern standard of clean + bright, wide open spaces that look directly at us in glowing white or soothing shades of gray. They warn us calmly that CLUTTER is not welcome in this home! Enter best selling author Marie Kondō’s enlightening book, “The Life-Changing Magic of Tidying Up: The Japanese Art of Decluttering and Organizing.” Released back in 2014, her wave of popularity has gained global force strength since she has a hit Netflix series ,”Tidying Up with Marie Kondo”. A must read and a must see for agents and clients alike, you’ll quickly understand how her lyrical approach to organizing the sock drawer or gently folding t-shirts to stand like soldiers can bring tears of joy! Mischief in the home can be managed! But what about those who have inherited historic memorabilia, antiques & collectibles? We consider ourselves the gatekeepers of family history who fret over the memories attached to things (real or imagined) and feel fear that we will erase the past if we let go. It takes time but the key is to stay focused and realize that we’re all up against ourselves, young + old alike. Remember, YOU’RE SIMPLIFYING YOUR LIFE SO YOU CAN MOVE FORWARD! We’ll dig deeper next time into how the tidying trend creates the perfect canvas for staging a house to sell! 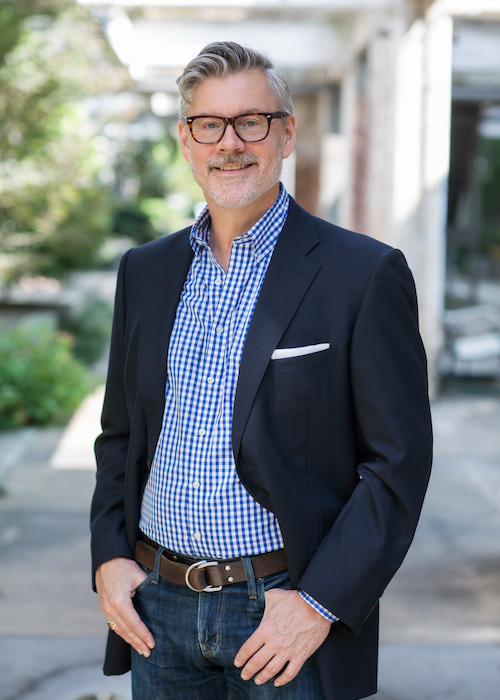 With experience of more than 14 years in real estate, Steven Carpenter represents a broad spectrum of knowledge from luxury homes to land. Equally comfortable working with buyers and sellers, both new and experienced. He began in new construction with top producing Arrasmith Team of Prudential Georgia Realty, and continues today with the Red Robin Group division of Keller Knapp Realty. His previous business career began in the retail world in metro Atlanta in the early '80s ranging from store executive to buying line / product development. Spanning 2 decades and consummating in luxury retail corporate sales with Neiman-Marcus(Atlanta & San Francisco). A native of upstate NY, he received his Bachelor of Science in Business Administration from Ithaca College. He has traveled extensively around the world & lived in California, Florida, New Jersey & Wisconsin. Steve is an avid runner & a resident of Ormewood Park. Hi Peeps! Ormewood’s own Stoney Point Park is Calling YOU!